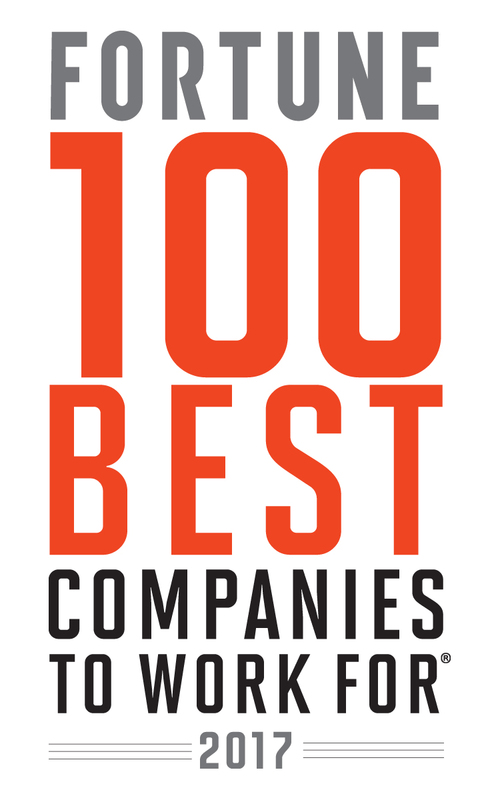 Delta Air Lines has been named one of the 2017 Fortune 100 Best Companies to Work For, according to global research and consulting firm Great Place to Work® and Fortune. Delta ranked No. 63 and is the only airline on the list, which is based on employee ratings of their workplace culture, including the pride they take in their jobs, the camaraderie they experience with co-workers, and level of trust they feel toward leaders. Key to the Delta culture is sharing in the success of the company based on the contributions of 85,000 Delta people worldwide. On Feb. 14, Delta employees earned $1.1 billion in profit sharing for their role in delivering record-breaking operational, financial and customer satisfaction performance throughout 2016. It marked the third year in a row that the company has paid out more than $1 billion in profit sharing. The 2017 results suggest that a high-trust culture fuels better business performance. Great Place to Work research shows that list winners outperform the stock market, outperform industry rivals when it comes to talent retention and demonstrate higher levels of productivity than peers. Delta was recently named one of Fortune magazine’s Most Admired Companies for the fourth consecutive year. In December, Delta made a trio of “best workplace” lists: Best Place to Work for LGBT Equality, Best Companies for Diversity and for African-Americans, and Glassdoor’s Best Places to Work.